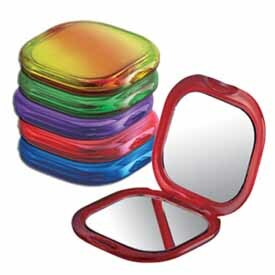 These small and funky Jewel Toned Double Compact Mirrors are perfect for your hand, pocket, or purse! 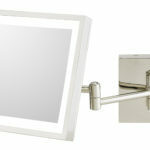 Being only 2.75” square and with a 1x and 2x magnification mirror, they’re extremely portable and great for on-the-go. 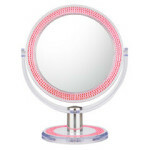 They come in an 18-piece counter display of 5 groovalicious colors (4 red, 4 pink, 4 blue, 3 purple, 3 green).